Weltruhm is one of the excellent Weltmeyer sons at the Celle State Stud. 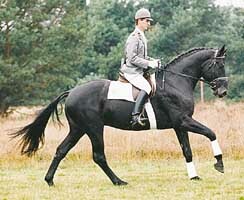 He achieved the highest dressage score during his stallion performance test in 1993. His own excellent rideability as well as his talent for dressage is passed on to his offspring. Weltruhm possesses excellent basic paces, outstanding rideability and a superb character. 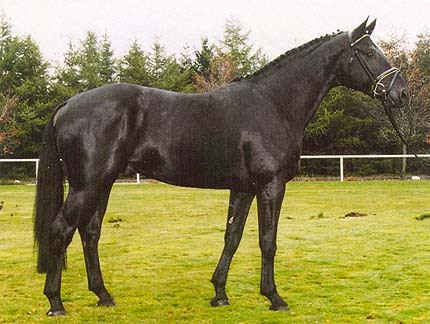 He is a big striking horse with correct conformation and a super topline. The progeny of Weltruhm are convincing all along the line. A harmonious appearance and a terrific presence also mark his offspring, which excel in dressage.